Tells the story of Donald Caskie who stayed behind to help establish a network of safe houses and escape routes for Allied soldiers and airmen trapped in occupied territory only to be arrested and sentenced to death. It was only through the intervention of a German pastor that he was saved. 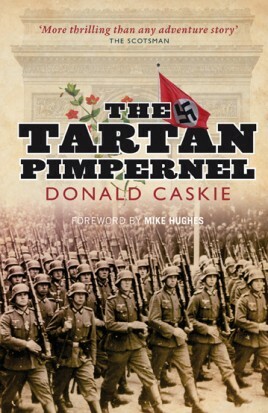 This is the remarkable story of Donald Caskie, minister of the Scots Kirk in Paris at the time of the German invasion of France in 1940. Although he had several opportunities to flee, Caskie stayed behind to help establish a network of safe houses and escape routes for Allied soldiers and airmen trapped in occupied territory. This was dangerous work, and despite the constant threat of capture and execution, Caskie showed enormous resourcefulness and courage as he aided thousands of servicemen to freedom. Finally arrested and interrogated, he was sentenced to death at a Nazi show-trial, and it was only through the intervention of a German pastor that he was saved. After the war, Caskie returned to the Scots Kirk, where he served as minister until 1960. This inspiring story of selfless commitment to others in the face of extreme adversity is the legacy of a truly brave man.